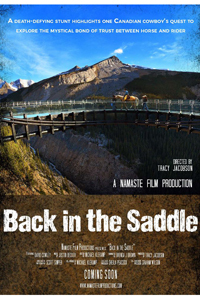 ‘Back in the Saddle’ chronicles the passion of famed Canadian cowboy David Cowley and his desire to showcase the often mystical bond of trust that can develop between horse and rider by attempting something never accomplished before on horseback. Along the way, David will compete in the Cowboy Up Challenge at the world famous Calgary Stampede, deal with an emotional family tragedy and endure a series of setbacks that will have him questioning his own confidence before rising up to face his greatest challenge as a horseman. 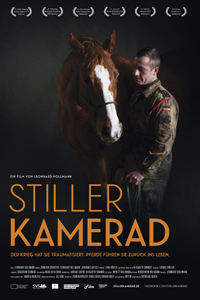 The documentary SILENT COMRADE accompanies three soldiers that are trying to find a way back to life with the help of Equine Assisted Psychotherapy for PTSD. Where the conventional medicine is limited, Claudia Swiercek fills the gap with her horses. "Horses are mirrors of the soul." With this sentence in mind, I went on a journey through Mongolia in the summer of 2014, accompanied by two horses.After five weeks in the saddle I still hadn't come to a full understanding of what that saying was supposed to mean. Shortly after my return to Germany I met Claudia Swierczek who told me about her Equine Assisted Psychotherapy for traumatized soldiers. 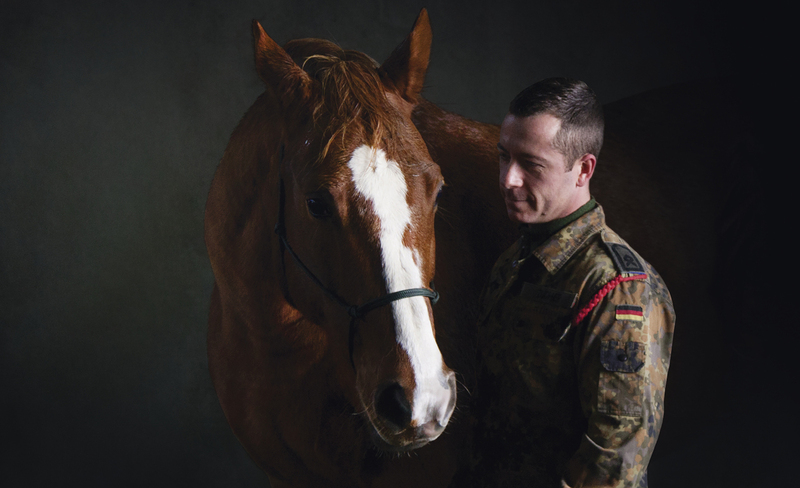 I was fascinated by the thought of these sensitive animals helping soldiers to cope with their traumas. "Pony Pastorale" and soldiers - how could these two possibly go together? And how does Claudia Swierczek manage to help even with the allegedly hopeless cases? SILENT COMRADE attends the therapy sessions as a silent observer and allows access to Claudia Swiercek's unique form of therapy. It takes an intimate look at three characters, who talk about the causes and consequences of their traumas with an unusual openness and sincerity. Through their interaction with the horses, their invisible wounds become visible and palpable.